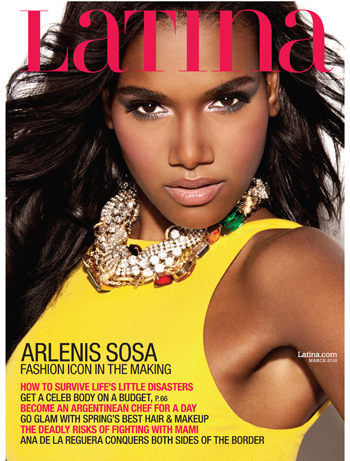 There is something special about La Sala 78 (111 Dyckman Street). From the moment you enter through their doors, you feel that this is a place where you need to be. Everything from the tasteful décor, to the eye-popping artwork on display, to the eclectic music playing in the background, to the enticing aromas wafting in the air, evokes a feeling of deep and delicious goodness. La Sala which means the living room in Spanish is just that, a living, breathing, multi-faceted space. A space to have a great meal, have a great conversation and enjoy a great piece of artwork. The menu is decidedly lite, healthy and delectable, ranging from paninis, sandwiches and wraps to scrumptious salads. My current favorite is the Chicken Pesto wrap. Get this; they even have a special avocado section of the mean featuring different choices that include the awesome super food avocado. 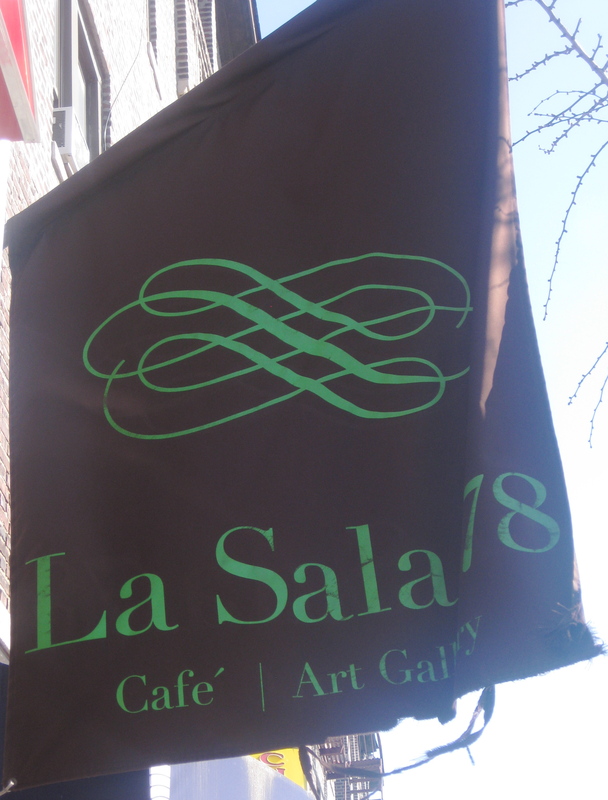 La Sala 78 also functions as a neighborhood art gallery, showcasing some truly impressive talent. SOA artist extraordinaire Joe Buck is currently gracing their wall. Not to mention that this is one of the fine retailers that features and sells the incredibly delightful Liga Masiva coffee. Trust us; you just can’t go wrong with La Sala 78. See you there. Crime has always been a staple in Inwood and Washington Heights. Although gentrification has modified this a bit, the usual felonies (assault, robberies, etc.) still occur. While the police department and local politicians claim to be doing everything within their official grasp to reduce the numbers, residents here aren’t convinced and have taken matters into their own hands. Let’s officially welcome the local group, InwoodSafety. This crew, which originally developed through Twitter and Facebook, has now branched into a patrol crew and forum. These brave souls stake out the streets of Upper Manhattan several times a week, and walk through the areas and spots that few policemen (if any) have gone before. Although it will still be a while before the group obtains the necessary ranking to establish itself as a “voice of the people,” their aim is to continue to fight for visible and effective change. There is a strong support and interest from residents thus far with over ninety residents as forum members, as well as communication with the 34th Precinct. However, the icing on the cake would be an actual lower crime rate in the area. For weekly reports on crime rate, please visit the 34th Precinct website. 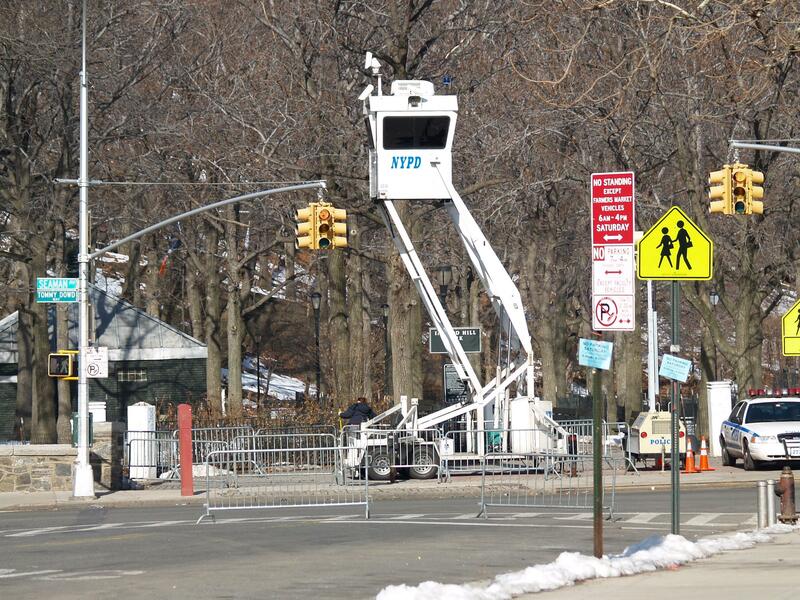 www.nyc.gov/html/nypd/html/precincts/precinct_034. And while we are on the topic of Basketball… Did you know that one of the greatest players to ever play the game came from Uptown? That right ya’ll – Kareem Abdul Jabar. Junior Bernal’s road to redemption has been a long one. From the concrete jungle of Washington Heights to the forests of Maine, Junior Bernal went from a troubled teen with both parents in jail to leading the University of Maine’s basketball team, the Black Bears, to unlikely success this season. Thanks to the New Heights organization whose mission statement is “to inspire inner-city youth to be leaders, champions and student-athletes and to empower them to be successful in high school, college and life” Junior left the inner city for Hyde School, a private boarding school in Maine. The rest as they say is history. Junior Bernal went on to the University of Maine where he has been a four-year starter and has been named to the America East Conference’s All-Academic Team for the last two years. 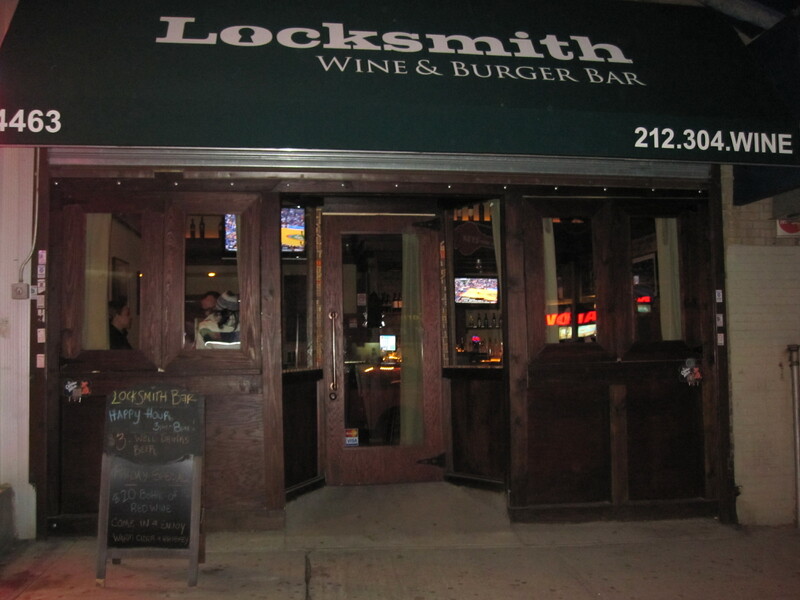 Locksmith Wine & Burger Bar, located at 4463 Broadway (between 190th and 192nd), is 100 percent Uptown Collective certified. We, as a collective and as individuals, spend a good amount of time at this excellent neighborhood bar; building, networking and just hanging out. This spot is super quaint, has excellent service and the prices are more than reasonable. The menu is simple but elegant. My personal favorite are the Buffalo Chicken Sliders which are Crack-like addictive. 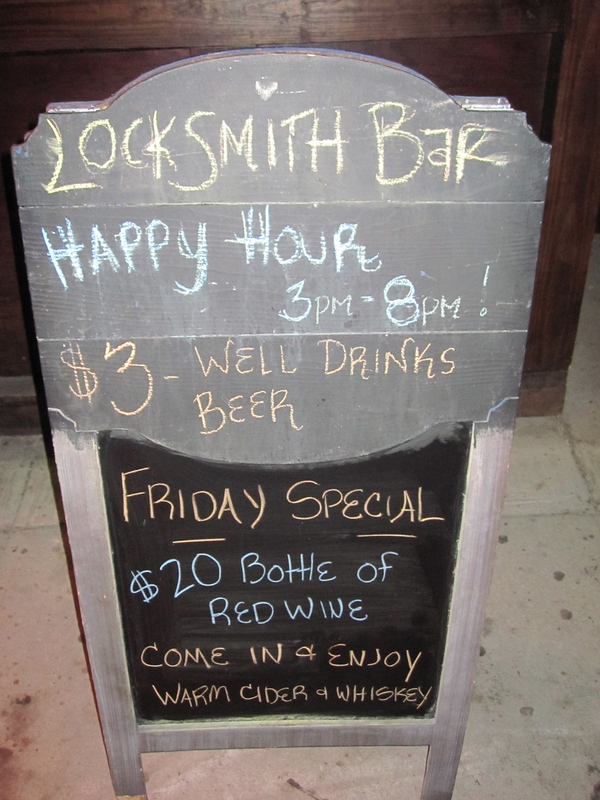 Locksmith also has the coolest Telephone number in all of Manhattan – 212-304-WINE. Holla at them and tell them the UC sent you.